PHOENIX – (January 24, 2019) – (GLOBENEWSIRE) GlobalTranz Enterprises, Inc., a leading technology-driven third-party logistics (3PL) solutions provider, named its 2018 Agent and Carrier Award recipients last week during the annual GlobalTranz Freight Agent Conference at Pointe Hilton Squaw Peak Resort in Phoenix. The annual awards dinner and ceremony included a record number of attendees and award honorees. 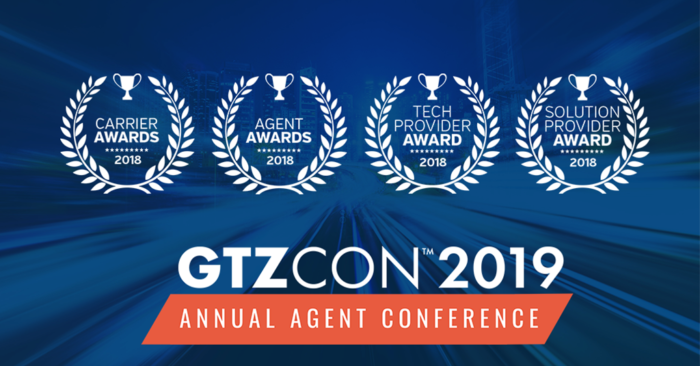 GlobalTranz presented its top agents with awards based on financial performance, customer service metrics and for recognition of special excellence. Carriers and service providers received awards based on overall operational excellence and customer service, price competitiveness and flexibility, strategic partnerships and market leadership, technology innovation, and new service offerings. Solution Provider of the Year: McGriff, Seibels & Williams, Inc.